Evander Holyfield is granting Mike Tyson a rematch and the former title-holder Monday vowed revenge when the two top heavyweights of the last decade meet May 3 at the MGM Grand in Las Vegas. "I'm going to knock him out. I'm not a round predictor, but I am going to knock him out," said a subdued Tyson at a news conference announcing the fight. "I'm going to win the title for the third time," Tyson added. "I just had a bad night. I'm the best fighter in the world. I'm just going to be in great shape and I believe I'm going to do very well." 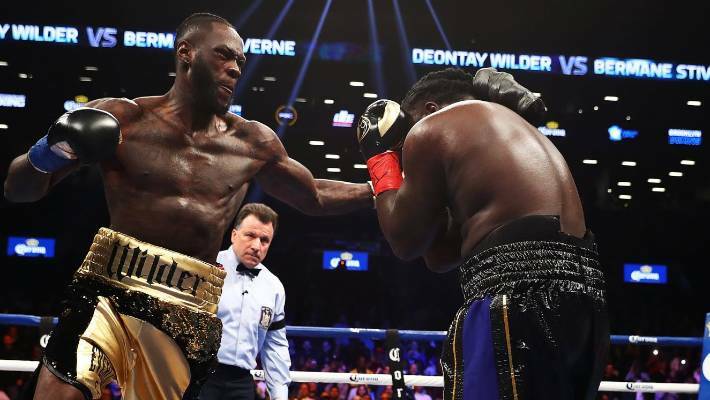 The rematch comes just six months after Holyfield stunned the sports world by recording an 11th-round technical knockout of Tyson to regain the World Boxing Association heavyweight title. With the victory, Holyfield joined Muhammad Ali as the only three-time title-holders in the heavyweight division. "Being heavyweight champion of the world, it's nice but it isn't about me," Holyfield said. "I thank the Lord for giving me the opportunity to show the world that regardless what people say and what they may predict, it doesn't determine what may be." Tyson, 45-2 with 39 knockouts, is a two-time champion but was dominated from start to finish in the Nov. 9 bout. Holyfield, who improved to 33-3 with 24 knockouts following the victory, floored Tyson twice in the fight and had him out on his feet when referee Mitch Halpern stepped in to stop it. Broadcast reports claim that Holyfield will receive at least $35 million for the bout, the largest given to an athlete for a single event. Strong pay-per-view sales could push Holyfield's earnings close to $50 million. "I worked hard and gave all I had but you know nobody goes anywhere without an opportunity," Holyfield added. "I thank Mike Tyson and his camp for giving me the opportunity. He is the reason I stand here today, to give him that opportunity back." The previous high of $30 million was given to Tyson for his 1995 comeback bout with Peter McNeeley.